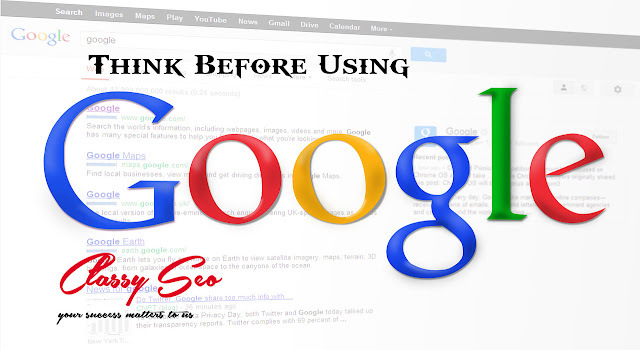 Think Before Using Google !!! Fun Fact : Google scans through each and every mail u send or receive saying that they do this to tailor the ads but, they also steal ur ideas and give it to other companies dominating that field! In Gmails policy terms they state "Users retain ownership of any intelectual property rights" but in the next sentence they admit, "When you upload, submit, store, send or receive any content to or through our services, you give google a worlwide licence to use, store, reproduce andcreate derivative works" this means everything u own is apparently owned by google. This is a good reason to use our own email hosting for all our professional work also it helps branding no doubt. so think again before sending a $$$$$ startup idea to anyone over gmail!